New Mattel Wonder Woman Dolls/Figures Are on Their Way and they Look Great! Oh yeah, if you’re a Wonder Woman fan or a doll collector (technically they are not being advertised as Barbie dolls) fan or both, you’re in luck. Entertainment Weekly has their first glimpse of the new Wonder Woman dolls coming out for all you toy fans out there. These pics are from Toy Fair in New York City and is based on the June 2 release of the live action Wonder Woman movie. I am by far no where near as versed in Barbie-lore as I am in the action figure realm, but I do have several Barbies and other Barbie-like dolls myself. I even have a Wonder Woman doll that was produced for the Batman v. Superman movie that came out. These look pretty darn good from what I can see. I especially love the blonde Hippolyta and Steve Trevor. What do you think? 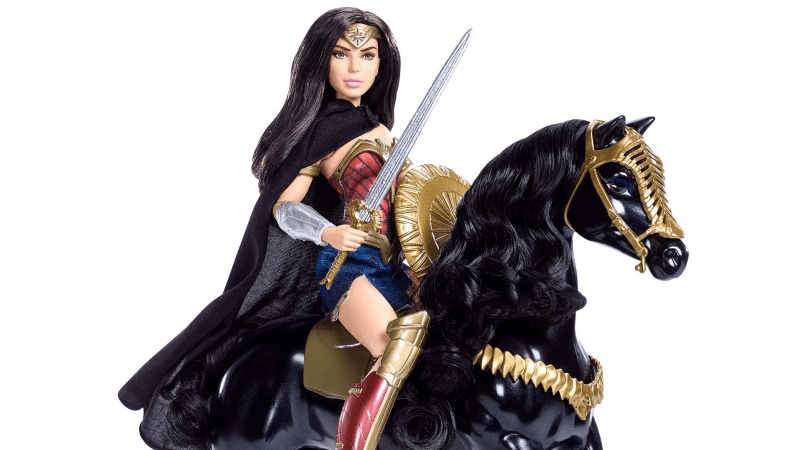 One comment to New Mattel Wonder Woman Dolls/Figures Are on Their Way and they Look Great! These look really nice. Guess I’m going to be spending quite a bit of money in June.